HS HPEG is one of the raw materials for the production of polycarboxylate high performance water reducer products. 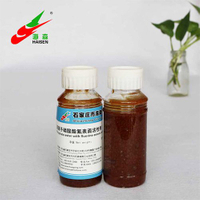 which is made with the most advanced ethoxylation technology and production unit. While preparing water-reducing agents, abrupt polymerization and viscosity rising would never happen. 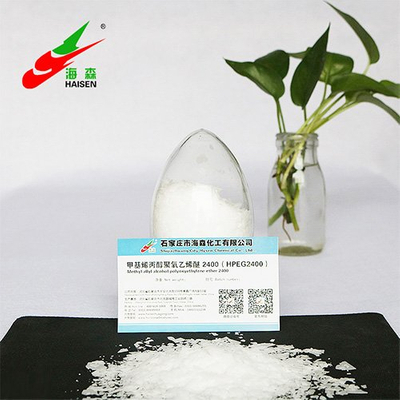 The product adopts high active catalytic and special method, its appearance is light and the molecular weight is narrow which can largely improve the rate of the products, also it has good water solubility, double bond retention rate is high, the molecular have large freedom degree and can be carried on the molecular structure design to get high-performance water reducing agent through a simple synthesis process. When it is polymerized to water reducing agent, the dosage is low but with high water reducing rate. It has a good enhancement effect and durability, not corroded reinforced and environmental friendly etc. 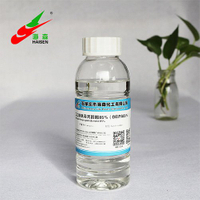 Non-toxic and non-inflammable chemicals; kept in dry and cool place, avoid direct sunlight. Shelf life is at least two years, with avoiding sunshine and rain. Please use this product up within one week after the package is opened. Seal the container with nitrogen if you can not use this up in order to avoid the oxidation problems.